And with the No. 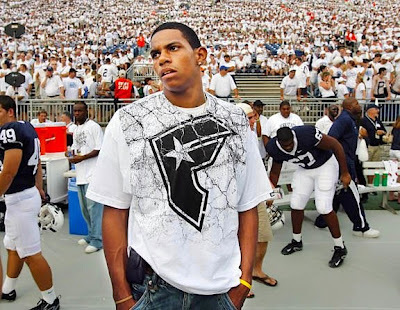 1 pick in the 2008 NCAA draft, the Duke Blue Devils select ... Terrelle Pryor! Pryor slowly trudges to the podium, shakes hands with an elated David Cutcliffe — the new Blue Devils coach — holds up a blue Duke jersey with the No. 1 on the front and fakes a smile long enough to have a picture taken. Sorry Terrelle, no more drawing out the signing day drama; you're a Blue Devil.